Please join Dr. Katharine Hayhoe of Texas Tech University as she highlights key national and regional messages from the recently released 4th National Climate Assessment report. 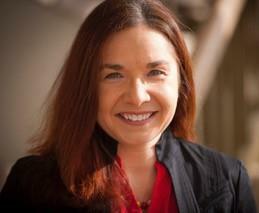 Dr. Hayhoe is professor and director of the Climate Science Center at Texas Tech University. She is an atmospheric scientist whose research focuses on developing and applying high-resolution climate projections to understand what climate change means for people and the natural environment. Dr. Hayhoe has served as a lead author for the Second, Third, and Fourth U.S. National Climate Assessments, and has also received the National Center for Science Education’s Friend of the Planet award, the American Geophysical Union’s Climate Communication Prize, the Sierra Club’s Distinguished Service award, and the Stephen H Schneider Climate Communication Award. She been named one of Time Magazine’s 100 Most Influential People and one of FORTUNE magazine’s world’s greatest leaders. Dr. Hayhoe holds a B.Sc. in Physics from the University of Toronto and an M.S. and Ph.D. in Atmospheric Science from the University of Illinois. The Southern Plains Climate Science Seminar is a joint initiative of the Department of Interior’s South Central Climate Adaptation Science Center, the National Oceanic and Atmospheric Administration’s Southern Climate Impacts Planning Program, and the U.S. Department of Agriculture’s Southern Plains Climate Hub. The Seminar features prominent scientists and researchers who are addressing key climate challenges facing the Southern Great Plains. Check back here for updates as speakers are announced and registration is opened.